The Chuluota Wilderness area offers 2 loops, the East Loop (2.7 miles) and West Loop (2.6 miles) as well as a short section of the Florida Trail. The main trails are two loops - the East Loop (2.7 miles) and West Loop (2.6 miles) - but there are other trails if you want to increase the mileage. Both loops are around the same mileage, and will likely take you about 30 minutes each. 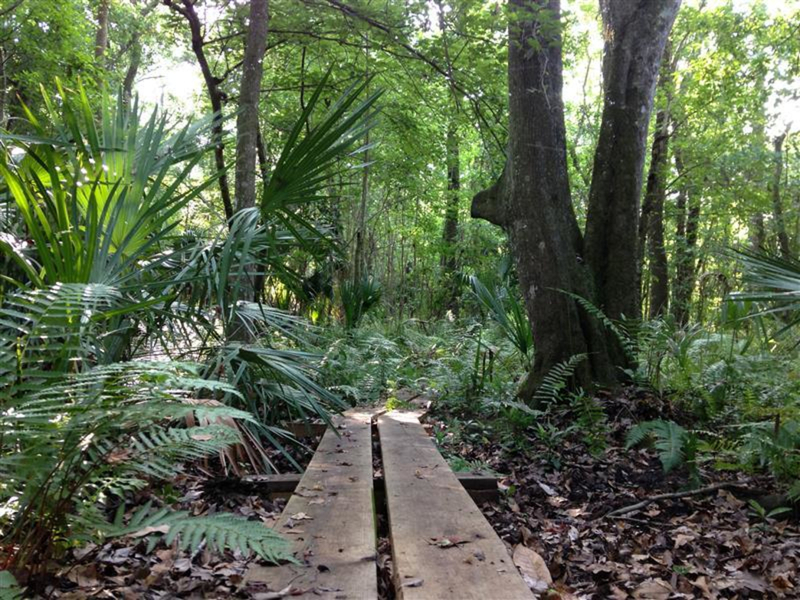 Looking for a great place to do some trail running near Orlando? The Chuluota Wilderness area is just the spot, offering pristine woods only a few minutes outside of Orlando. You’ll find a quiet area that isn’t as busy as some of the other local spots, but it definitely worth a visit. The Chuluota Wilderness area offers 2 loops, the East Loop (2.7 miles) and the West Loop (2.6 miles). The East Loop focuses on the northeast section of the area where you’ll pass by the wetlands area to the south and through the pasture towards the north boundary. The West Loop focuses on the southwest section of the area where you’ll alternate between woods and sandy paths. The majority of the run will take you through sand pine and oak scrub. Keep in mind that the two loops are multi-use so you may run into people mountain biking. The trails are smooth and will allow you to keep up your pace for most of the run. The East Loop may flood in the wet season. If you’re planning on visiting the Chuluota Wilderness Area in the summer be sure to keep an eye on the forecast leading up to your visit. If you’re interested in a more challenging run you can check out the Florida Trail. The Florida Trail will take you through dense forest which will require you to slow down as you make your way along the trail. Once leaving the trailhead you’ll stay on the Orange blazed trail and continue down to the southern boundary of the wilderness area where you’ll enter into Charles H Bronson State Forest. If you’re looking for a long, linear run this is a great option. You can start at Chuluota Wilderness and end at the Orlando Wetlands Park for a total distance of 12 miles. Keep in mind this is not a loop, so you will need to make arrangements to get picked up at the end or turn around and head back to the trailhead. Also, due to the dense nature of this trail you will likely encounter spider webs across the trail. 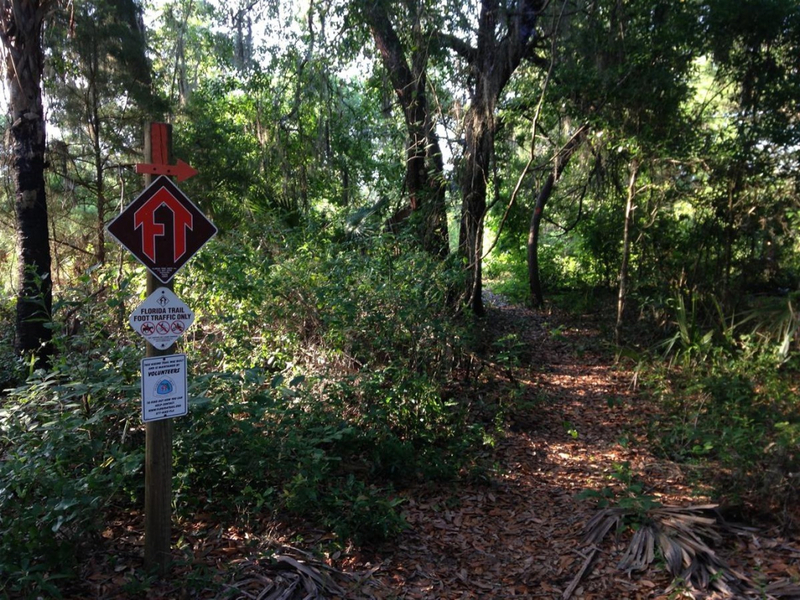 Runners looking for smooth, dirt paths will enjoy the two main loops in the Chuluota Wilderness Area. These loops will give you the opportunity to run quickly and get in your run in a short amount of time. If you are a runner interested in a narrow, more challenging run then the Florida Trail section will be a great option for you. 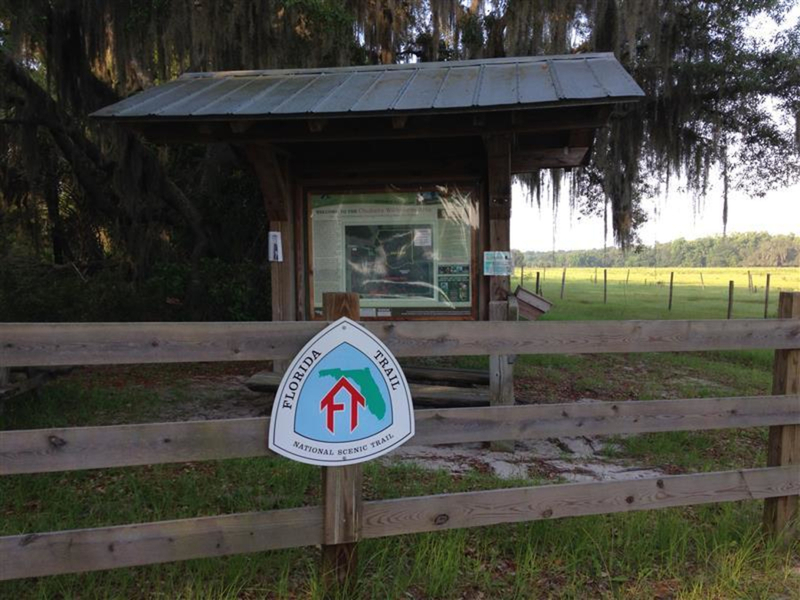 To start your run you’ll park at the trailhead off of Curryville road in Oviedo, FL. The parking is large enough to accommodate 8-10 cars so finding a spot shouldn’t be an issue. There are also no parking fees. As always be sure to lock up any valuables in your vehicle before you head out. Make sure you bring a lot of water as there is not a water source at the trailhead. There is plenty of shade on most of the trails, but the Florida heat can take it’s toll. Also, remember to use plenty of bug spray as ticks and mosquitos can be an issue. Keep in mind that this area does have a few restrictions. For example, hunting, camping, swimming, possession of firearms or alcohol, as well as the ignition of fires are not permitted.